will be announced on February 4, 2013! Fan and Creator Voting will be open from January 1, 2013 until January 31, 2013. You may only vote once for the 2012 Nominees, and Fans will decide the winner of the Best New Series Award. Winners will be announced in February 2013. We thank everyone who took the time to nominate in this years awards. 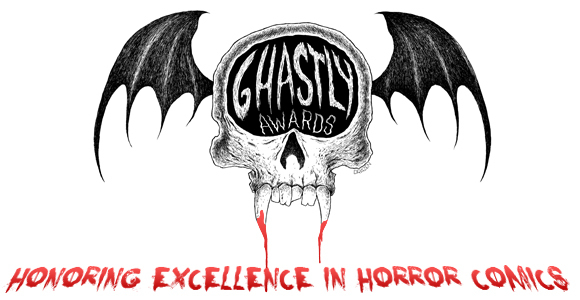 For more information on the Ghastly Awards, or to submit your Horror Comics for consideration in the 2013 Awards, please go to www.ghastlyawards.com.